Many people start a blog with the goal of making money. This is a great goal! Blogging can be hard work, but can provide you with tremendous results. I started my blog in January 2015 and was able to quit my day job by October of the same year. I even shared what it was like to be a part time blogger while working a full time job so other new bloggers could see what my typical day was like! Looking back, I remember how hectic everything was. I loved every minute of it and knew that if I worked hard, my blogging efforts would pay off. I started publishing my income reports after four months of blogging. I made $61.83 through a few different affiliate companies. In my latest income report, I made over $11,000, which was my best month to date! In a little over a year and a half, I was able to go from $61.83 to $11,195.28 per month. That's crazy! You can read all my income reports to see how my income has progressed over the past twenty months. I started my blog with very limited knowledge on how to do anything and it's been a big learning curve, especially in the early months. The great part is that if I can do it, so can you. You just have to put in the time, energy and work! Out of all my blog income reports, my most popular report is still my first one! In my very first online income report, I made $61.83 after roughly four months of blogging. Why is this my most popular income report my very first one? I'm not entirely sure, but I think most people want to know how to go from making nothing to making something. The total amount doesn't really matter! It's more about discovering something and being able to market it to your audience. With my first online income report, all of my income came from recommending products that I was already using. Prior to my first affiliate sale, my readers were able to get to know me on my blog. When readers left a comment, I always responded. If someone sent me an email, I always wrote back. This lead to building up trust with my audience. So when I was finally ready to share about products and services that I liked and used, my readers felt comfortable making a purchase. If you are a blogger and haven't made your first paycheck yet, don't stress! It takes time for things to click and make sense. There is no industry standard on when you will make your first paycheck. To give you some inspiration, I‘m sharing how all these amazing bloggers made their very first paycheck online! Alex from Cash Flow Diaries made $20.05 in his very first month blogging! You can read his first online income report here. Abby from I Pick Up Pennies made her first $20 renting out space in her sidebar for a private advertiser. Allison from Allison Lindstrom (and her super popular course called Blogging to Win) made her first dollar from an ad network and a sponsorship. Learn how she made her first $200 from blogging within 90 days. The Frugal Millionaire made her first dollar from Google Adsense. Today she makes over $2,000 per month. Read her very first income report! My Debt Epiphany earned her first dollar online a few months after starting her blog. She wanted to get into freelance writing, so she added a ‘Hire Me' page to her blog consisting up of her greatest writing samples. She landed her first client and today she is a full time freelancer and blogger! Kate from Cashville Skyline was initially worried about placing ads on her website for fear her readers would think less of her. Luckily she realized there's nothing wrong with being compensated for hours of hard work! She earned her first $10 from Google Adsense. Latasha from Arts and Budgets made $78 from being an affiliate with different survey companies. She made an additional $350 online taking part in focus groups and completing surveys. The Intentional Mom made her first dollar through being an Amazon affiliate and in an ad network. Online Income Mom made signed up with a company called PayU2Blog. She did short 50 word blog posts for $5 each. You can read her latest income report here. The Million Dollar Mama made her first blog income through the Amazon affiliate program. It's now by far her main source of blogging income. She made $276 in her first online income report! Carly on Purpose made over $483 when she reported her first blog income report. Her income came from Google AdSense and two different sources for affiliate income! Eden from Mint Notion made her first blogging paycheck from a sponsored post after only a few months blogging. She wrote her first blog income report and shares how she earned over $1,200 online! The Flooring Girl built a website about her local hardwood flooring business so local customers would find her. After only six months of blogging, she was scheduling multiple weekly appointments with customers! She recently began to monetize her website with wood flooring product recommendations through Amazon and through an ad network. She earned over $1,100! Derek from The Frugal RVer made his first $99 as a blogger! He shares his tips and product recommendations for other RVers as an Amazon affiliate. Alexis from FITnancials made her first online income from a sponsored post! 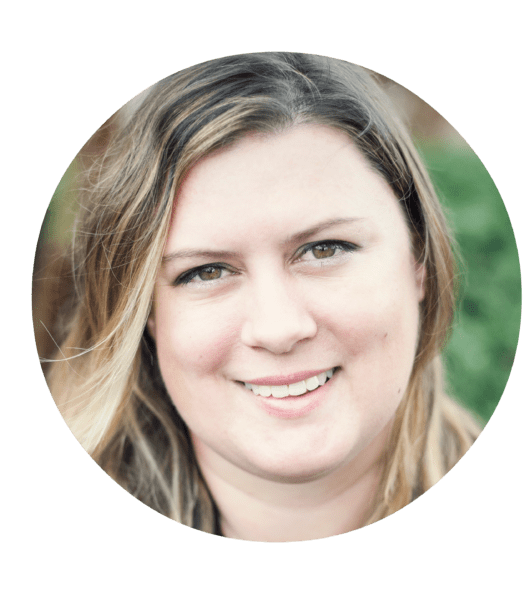 She recently quit her day job to blog full time and just made over $400 in one month through affiliate marketing. Melissa from Sunburnt Saver made her first paycheck working as a freelance ghostwriter. She published her very first online income report after only five months of blogging! Redefining Mom made her first paycheck from blogging through a sponsored post. You can read her first official blogging income report where she made over $1,200 in one month! Super Millennial made his first paycheck from Google Adsense and affiliate income after only a few months of blogging! Lauren from Becoming Wellthy earned her first paycheck from ShareASale with an affiliate link! She used a social media link that exploded and made $50 in one day! Learn how she made over $150 with her online income report. Caroline from Cow Country Housewife made her first paycheck from blogging as an Amazon affiliate. 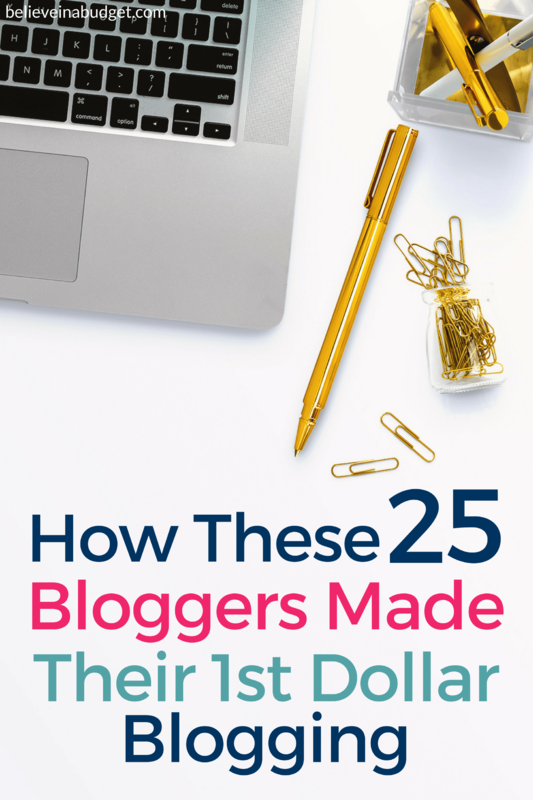 Her blog post that made almost all of her income came from a post that hardly has anything to do with her niche, which is crazy and super exciting! Simply Natural Mama made her first paycheck simply by recommending a book she read to other bloggers. Her first paycheck from the affiliate sales was for $27! Read her income report on how she did it! Sam from Just Dabbling Along made her first online paycheck as an affiliate recommending printables! She made $32 in her very first online income report. Bren on the Road wrote a blog post about how to make money as a freelancer who travels the world. Thanks to that post, he made his first dollar online through an affiliate sale. Neena from Almost Practical made her first dollar from Google Adsense. It took her a few months to see that paycheck and ever since, has been hooked on blogging! Amy from The Millennial Family made her first Amazon affiliate sale in just two days after her blog went live. She made $2.63! Ali's Adventures made her first dollar as an Amazon affiliate. You can read her latest income report to see how much she has progressed! Francisco made his first dollar from AdSense. You can read his first income report where he made a total of $75.91 from AdSense, Amazon and YouTube! Catherine from My Work Money Life made $4.62 from Media.net! You can read her income report here. Francesca made over $1,500 in her first income and side hustle report. Her income came from multiple sources like affiliate income, ads, mystery shopping, pet sitting and more. Read her report here! 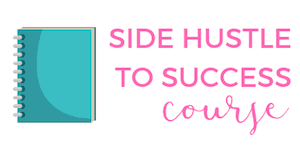 After reading everyone's story, are you getting super excited and motivated with your blog? I always find it really helpful to read other income reports, regardless of the amount, as it really fires me up to work harder! If you want to offer freelance services, check out a few courses. 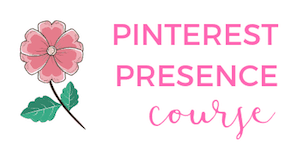 I recommend 30 Days or Less to Virtual Assistant Success and How to Become a Pinterest VA TODAY!. In addition to blogging, I've also been very smart about how to make money when I'm online for personal and business purposes. Here's a list of my resources that I use to make money online. For the diehard couponers out there, this will often result in getting an item for FREE. When you sign up, you will receive a $10 cash bonus when you make your first scan. Join Ibotta here! I've been able to rent an entire house, condo and apartment instead of a room at a hotel. Have you ever thought about renting out your home for a weekend? If so, you can learn more here about how to become an AirBnB host. 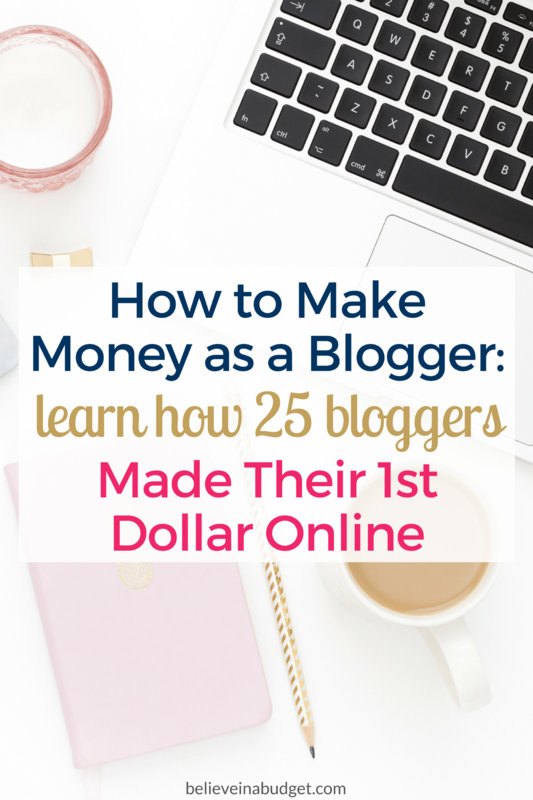 Have you made your first dollar blogging? Do you share income reports? Very inspiring. I am a new blogger and am dreaming of making it my full-time career. Posts like this help keep me focused, thank you for your information and tips! Great round-up of stories! Thanks for including me! 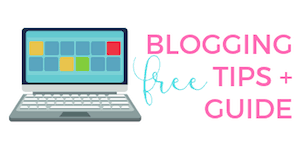 When I earned that first affiliate commission a few years ago, I never thought it would eventually turn into something more significant, but now blogging is how I earn the majority of my income…and I love it! Thanks so much for including me! I love reading online income reports – I find them incredibly inspiring and motivating! Love this and thanks for much for including me! Blogging requires so much work and energy upfront and it feels great to earn your first dollar. Woohoo! It’s hard to make that first buck! What a great collection of stories – I enjoyed reading through all of them. I remember how long it took to get that first dollar. So glad I stuck with it. Thanks for including my memory here too! I would have to look back on my books to find out where my first dollar was from. I was actually in a few affiliate programs that are now defunct. Could be one of them! That was around 2012. It definitely was not Adsense for me as it took me more than 1 year to get to the $100 payout threshold. Ha, I think it took me almost a year to get to the $100 threshold for Adsense too! Great post! So interesting to read how the “big dogs” started monetizing. I made $14 from Amazon and Target affiliates my second month blogging! I was so excited!! Oh that’s awesome! We all have to start at the bottom and work our way up, right?! These are such great suggestions, Kristin. Reading and responding to readers is so important and shows people a) you’re real and b) you care!